"I promise you, as you choose to remake yourself, to see in new ways who you are and what you are capable of, to dedicate yourself to using body, heart, mind and spirit in living your life, you will open up windows of possibility within your life and within the lives of others. Your courage will inspire others to be brave. Your model will inspire others to change. Together, the courageous change will create something worthwhile, something completely human." "Death is not extinguishing the light; it is only putting out the lamp because the dawn has come." "Character is not something you were born with and can’t change like your fingerprint. In fact, because you weren’t born with it, it is something that you must take responsibility for creating. I don’t believe that adversity by itself builds character and I certainly don’t think that success erodes it. Character is built by how you respond to what happens in your life. Whether it’s winning every game or losing every game, getting rich or dealing with times, you build character out of certain qualities that you must create and diligently nurture within yourself.…You’ve got to look for those things in your heart and in your gut. You’ve got to chisel away in order to find them. Just like chiseling away the rock in order to create the sculpture that has previously existed only in your imagination." "Ours is a world of nuclear giants and ethical infants. We know more about war than we know about peace, more about killing than we know about living. We have grasped the mystery of the atom and rejected the Sermon on the Mount." "Even in the darkest of times we have the right to expect some illumination…Such illumination may well come less from theories and concepts than from the uncertain, flickering, and often weak light that some men and women, in their lives and their works, will kindle under almost all circumstances and shed over the time-span that was given them on earth." "The only thing that separates any one of us from excellence is fear and the opposite of fear is faith. I am careful not to confuse excellence with perfection. Excellence I can reach for, perfection is God’s business." "A tree is known by its fruit; a man by his deeds. 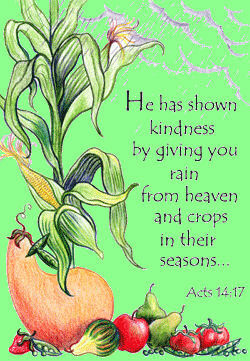 A good deed is never lost; he who sows courtesy reaps friendship, and he who plants kindness gathers love." "The life that conquers is the life that moves with a steady resolution and persistence toward a predetermined goal. Those who succeed are those who have thoroughly learned the immense importance of a plan in life, and the tragic brevity of time." "The most important human endeavor is striving for morality in our actions. Our inner balance and even our very existence depends on it. Only morality in our actions can give beauty and dignity to our lives." Of humble service and the simple things." "Those who hope have to counter fearsome doubt firmly with their hope’s proofs. They have to show, by the clarity of their thought, the poetry of their speech, the peaceful goodness and caring of their persons that goodness is still possible, that doubt is not the final word because some spirit still thrives." "Turn your fear into fire; burn with a passion to accomplish your mission in life. It has been given to you alone and to no one else. May your life burn brightly with a fire-filled passion to build up God’s kingdom ‘here on earth as it is in heaven.’"
Awareness is noticing the blessings that often get overlooked in our busy lives. 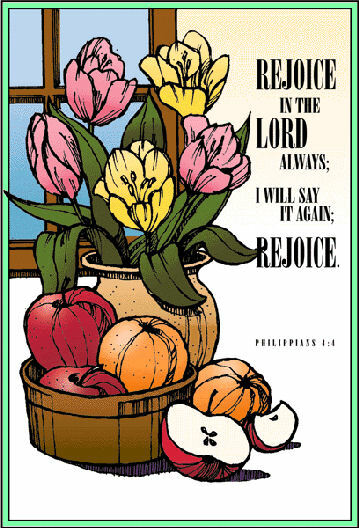 It is waking up with a song of rejoicing in our hearts and taking that song with us throughout our day. Gratitude for a special blessing can inspire us to look further and discover even more good in our lives. As we are inspired, let us also be inspiring to others. By living our lives according to the truth as we know it, everything we say and do is uplifting." I see you at the meeting…but you never say "Hello." You’re always busy when you’re there…with those you already know. I sit among my brothers and sisters, and yet, I’m so lonesome I could cry. Do all new members feel the way I do…when you old members pass by. You know, when you folks asked us to join…you talked of joy and fellowship. How nice it would be for you to walk across the room…but few ever make the trip. Why can’t you just nod and say "Hello" or stop and shake our hand, and then go and sit with your long-time friends? That I could understand. Oh, I’ll be at the next meeting and a worthwhile time I’ll spend, but just for once, will you introduce yourself? For I want to be your friend. Legend tells of a king who needed a faithful servant and had to choose between two likely candidates. He took both of them on a trial basis and told them to fill a basket with water from a nearby rain barrel, saying he would come in the evening to inspect their work. After dumping several buckets of water into a basket, one of the candidates said, "What is the good of doing this useless work? As soon as we pour water in, it just runs out the sides of the basket." The other candidate answered, "But we have our wages, haven’t we? The use is the king’s business, not ours." "Well, I’m not going to do such fool’s work," replied the complainer. Throwing down the bucket, he went away. The other candidate continued until he had drained the barrel. Looking into it, he saw something shining at the bottom that proved to be a sparkling diamond. "Now I see the usefulness of pouring water into the basket!" he exclaimed. "If the bucket had brought up the diamond before the barrel was emptied, it would have been found in the basket. My work was not foolish or useless, after all." When God’s blessing does not fully coincide with your expectations, remember to wait until the barrel is emptied. There may be something precious at the bottom. This is the last issue for this planting season. The next planting will be in September. Until then, plant these "seeds" well and water often. Enjoy!